St John’s Holy Land Committee is working with Voices From the Holy Land to bring an educational documentary film series on Israel-Palestine to the Washington National Cathedral’s Perry Auditorium from April 7 to May 11. Each film will feature a moderator for Q&A and speakers to address themes in the documentaries, and two films will feature related Palestinian artwork. For each event, the doors of the Perry will open at 2 pm and the event will end at 4:30 pm. Parking in the Cathedral’s underground parking lot will be free on Sundays. 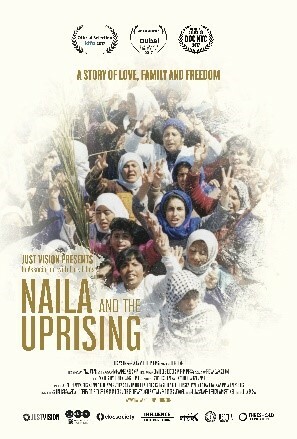 The April 7 film, Naila and the Uprising, was directed by Julia Bacha and released in 2017. Dr. Bacha is the Peabody and Guggenheim award-winning Creative Director at Just Vision, a non-profit that highlights the efforts of Israelis and Palestinians to end the occupation. The 76-minute film looks at the first intifada (1987-1993) and the role of Naila Ayesh and other women who Bacha describes as the “backbone” of non-violent protest at that time. Mai Abdul Rahman, founder of the American Palestinian Women’s Association will moderate an audience-participation Q&A discussion. Suhad Babaa, Executive Director at Just Vision, will participate and will speak about the production of the film. The importance of telling the woman’s narrative, she says, is that women are “often at the helm of historical movements” but “invisible in our history books,” with consequences for how we understand history and leadership. 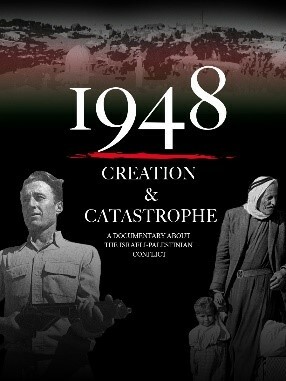 The next documentary in the series, 1948: Creation and Catastrophe, will screen on April 28. The film was directed by Andy Trimlett, an Emmy award-winning producer with an MA in Middle East Studies and years of experience at PBS, and Ahlam Muhtaseb, a professor of Media Studies at California State University who has done field work in Palestinian refugee camps. The 85-minute film, produced in 2017, looks at the birth of Israel and the related expulsion and flight of Palestinians through interviews with Israeli soldiers and Palestinian refugees. Palestinian and Israeli historians provide context and a bird’s eye view of the trajectory of events leading up to and during 1948, and its aftermath. The Q&A discussion will be moderated by Miko Peled, an Israeli-American activist and author of nonfiction books including The General’s Son: Journey of an Israeli in Palestine and Injustice: The Story of the Holy Land Foundation Five. Peled became an activist after a suicide attack killed his niece; he realized that only by telling “the truth” that “tragedies are taking place because we are occupying another nation” can we “save lives” and “negotiate a just peace” to end the occupation. In addition, a slideshow of selected works from the Palestine Poster Project Archives will be featured in the ante room outside the Perry. The Poster Project is curated by Dan Walsh, a local archivist. We are also working to arrange for a mini-exhibit of art and photographs from the Washington, D.C.-based Museum of the Palestinian People. 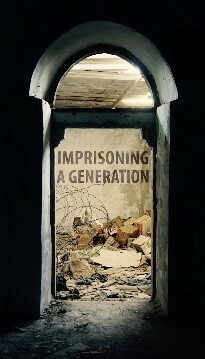 May 11 will be the Washington, DC premiere of Imprisoning a Generation, directed by Zelda Edmunds and released in 2018. The youthful Edmunds, a New Englander who filmed and directed this 50-minute documentary, describes these Palestinian voices as “a lens into the entangled structures of oppression that expand well beyond the prison walls” that hold the Palestinian children featured in the film. The four children and their parents are the primary narrators, and the film includes additional footage of life under military occupation, e.g., daily navigation of checkpoints and encounters with Israeli soldiers and settlers. The event will be moderated by Philippe Nassif, Middle East and North Africa Director for Amnesty International, and will feature two speakers: Alaa Hammouda, a Palestinian mental health communications specialist who has spoken recently at St John’s, and a second speaker to be determined. In addition, the event will feature artwork by children in Gaza, loaned by United Palestinian Appeal. These drawings, created by pre-teenage children after the 2009 Operation Cast Lead Israeli invasion of Gaza, are a deeply touching and powerful look at the war. We are also working to arrange a mini-exhibit of art and photographs from the Washington, D.C.-based Museum of the Palestinian People. The 5th Annual Voices From the Holy Land 2019 Film Series seeks to provide a voice to the people living in the Holy Land, and to prompt conversation, by presenting informative and compelling documentary films by Israeli, Palestinian, American, and European filmmakers. For more information about this series at the Washington National Cathedral, visit www.voicesfromtheholyland.org, or Facebook.com/voicesholyland.